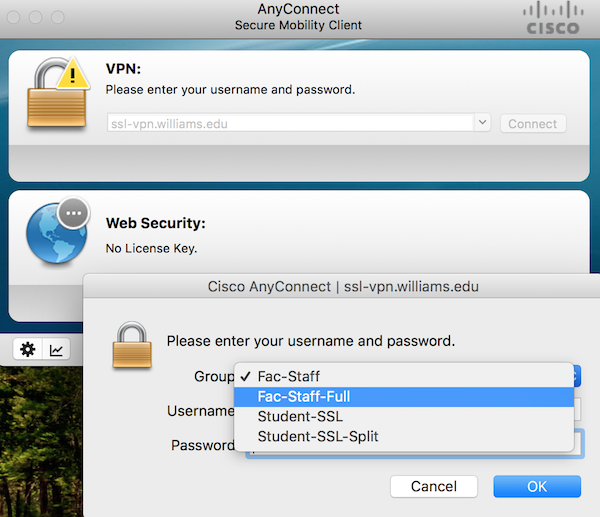 Due to the increasing number brute-force login attacks directed at our servers, we are now requiring the use of the Williams VPN when editing site content from off campus. This allows us to give legitimate users remote access when they need it while easily blocking unauthorized access. Please note that the VPN will need to be run in “full” mode. See screenshot below.